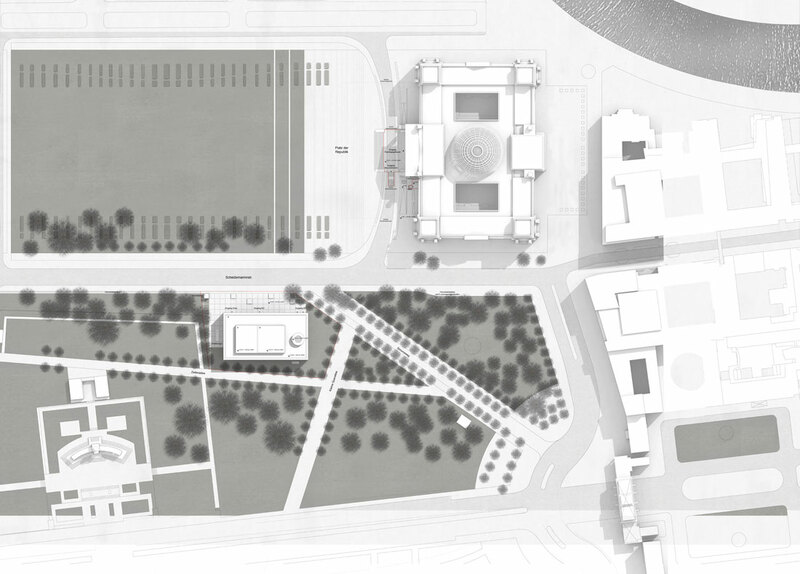 The temporary security entrance for visitors at the Platz der Republik will be replaced by an architecturally and functionally appropriate durable solution through the establishment of a new visitor and information centre with around 6600 m² gross floor area – for approximately 2.4 million visitors of the German Bundestag each year. The connection of the new building (the BIZ) and the Reichstag building is ensured through an enclosed pedestrian tunnel. 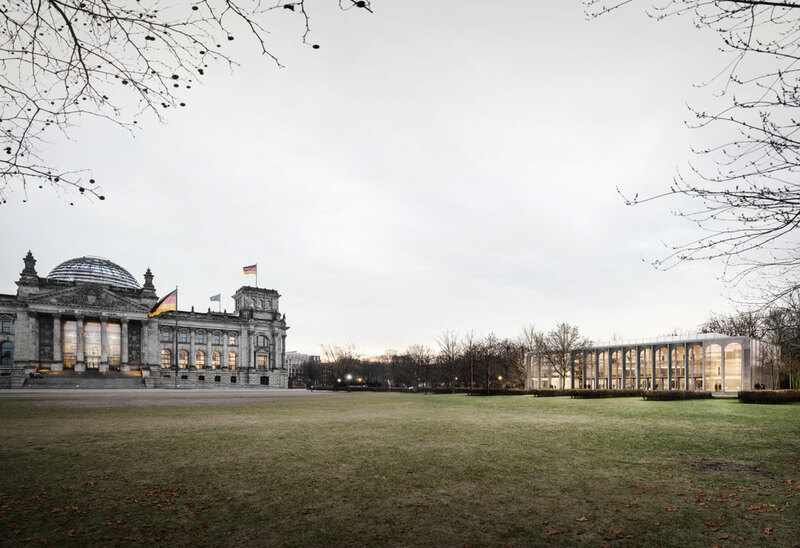 The new visitor’s centre of the Bundestag will form an intimate and functional relationship with the Reichstag building despite the relatively large distance between them. 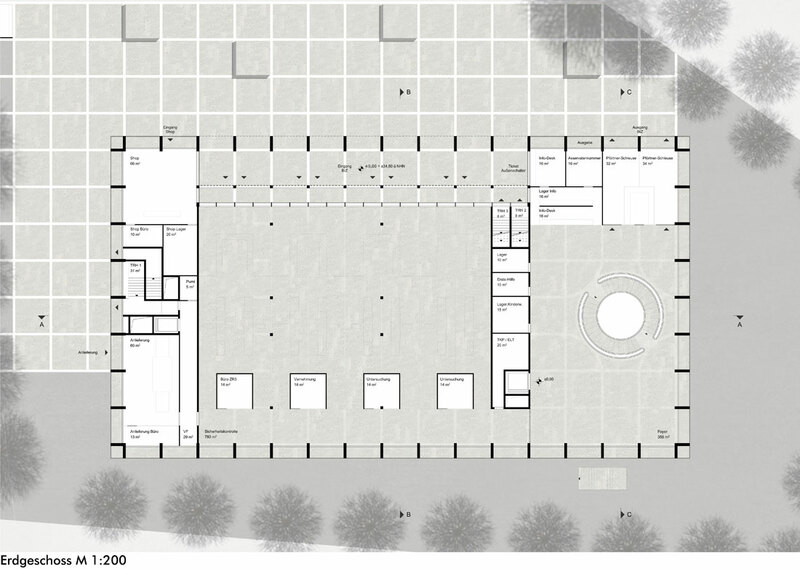 To visualize the relationship between these two buildings, three design strategies are pursued at different levels to make a coherent ensemble between the Reichstag building and the BIZ: composition, physiognomy, and material. 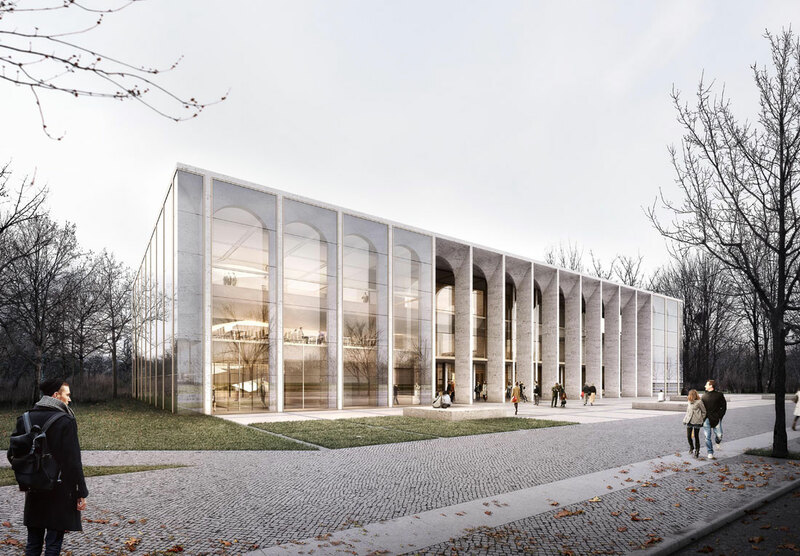 Contrary to the Reichstag building itself, which is raised on a massive base above the exterior grounds, the new BIZ is designed as a Pavilion, which opens up to the surroundings and looks inviting. 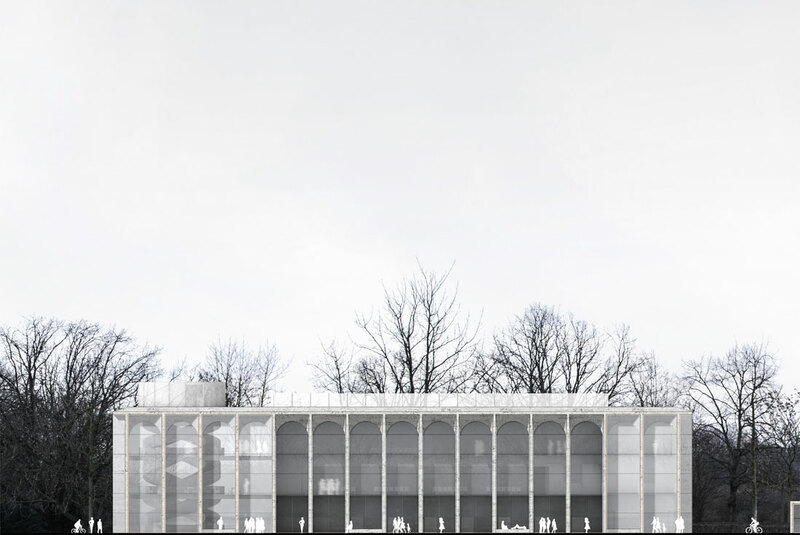 Slender and dynamic columns within the glass façade create a delicate transition between outside and inside: this edge condition lets the landscape of Tiergarten penetrate right into the building. 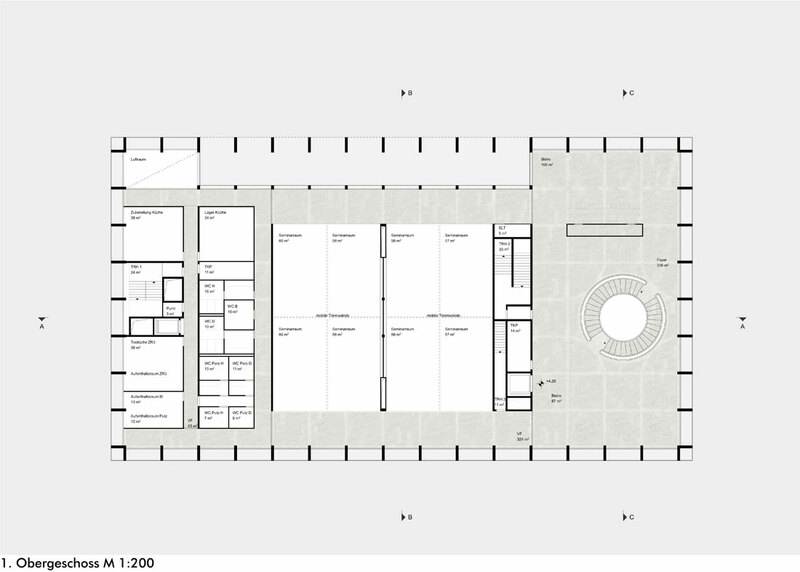 Due to expected high attendance, the circulation of visitors within the BIZ and the Reichstag building must be organized extremely effectively. 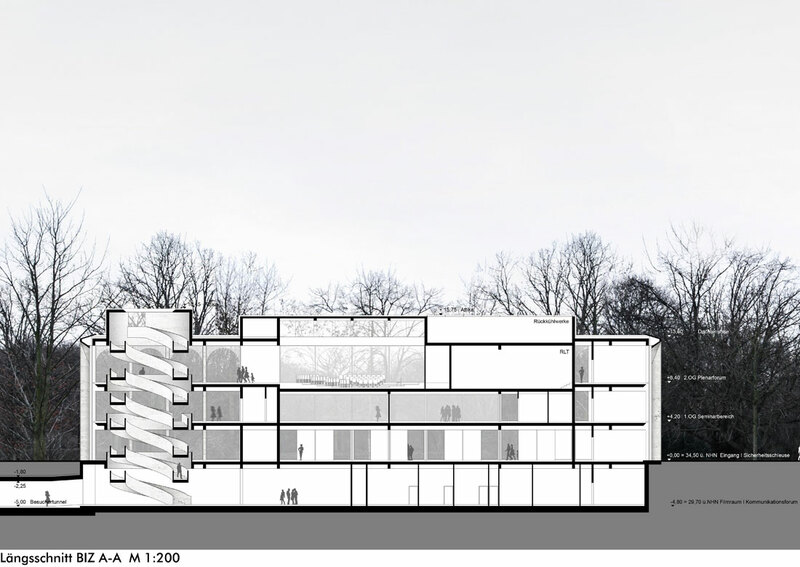 Concurrently, a spatial experience that provides clear organization as well as a unique sense of place should be created. 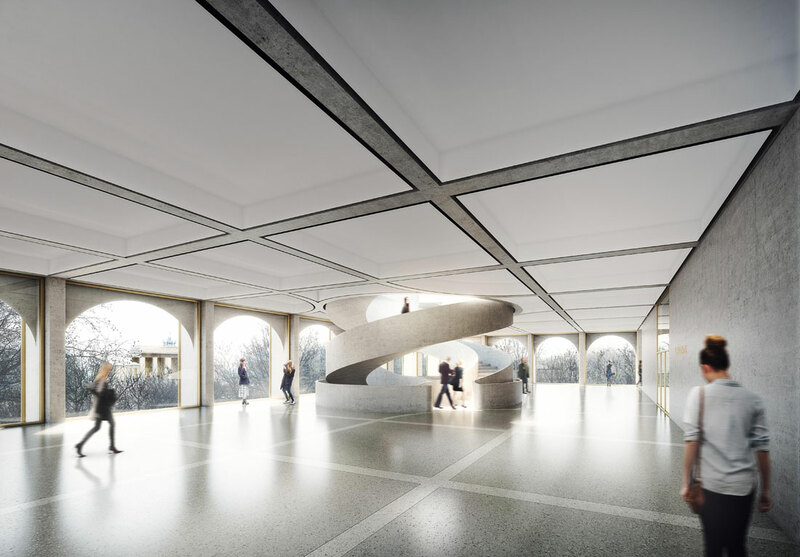 These conditions are fulfilled optimally on the basis of a central staircase, designed as a double helix located in the centre of the lobby and split at four levels in our proposal. This sculptural centerpiece of the BIZ continues the development of an architectural vocabulary which references classical forms such as the historic staircase designed by Guisppe Momo for the Vatican Museums in 1932.